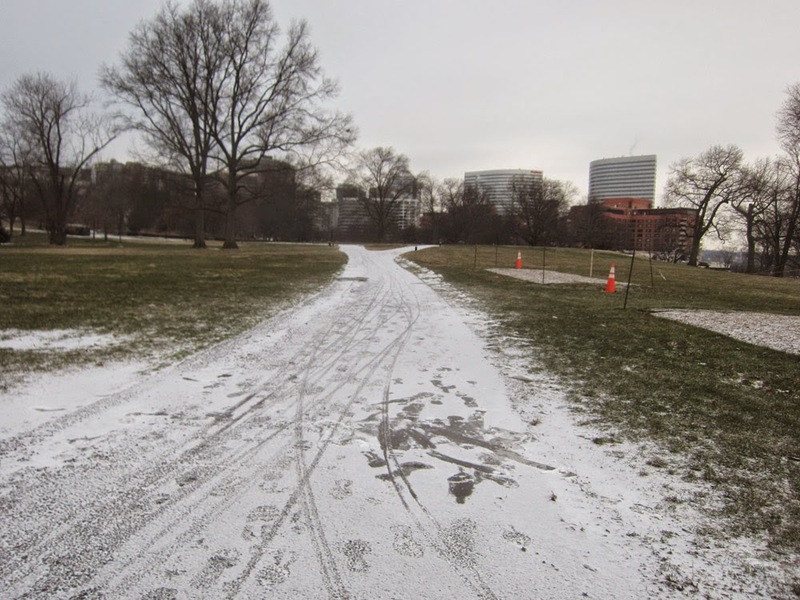 Unfortunately the path through the scenic Rosslyn Vista Park collects water that freezes into ice. A dusting of snow hides the ice. But now you know. Stay informed and safe with the Ode Street Tribune.